vsync found a lisp cartridge for the Acorn on ebay. LISP is the language of artificial intelligence, an intriguing alternative to BASIC and faster executing in a number of ways. These items are complete with boxes as pictured. 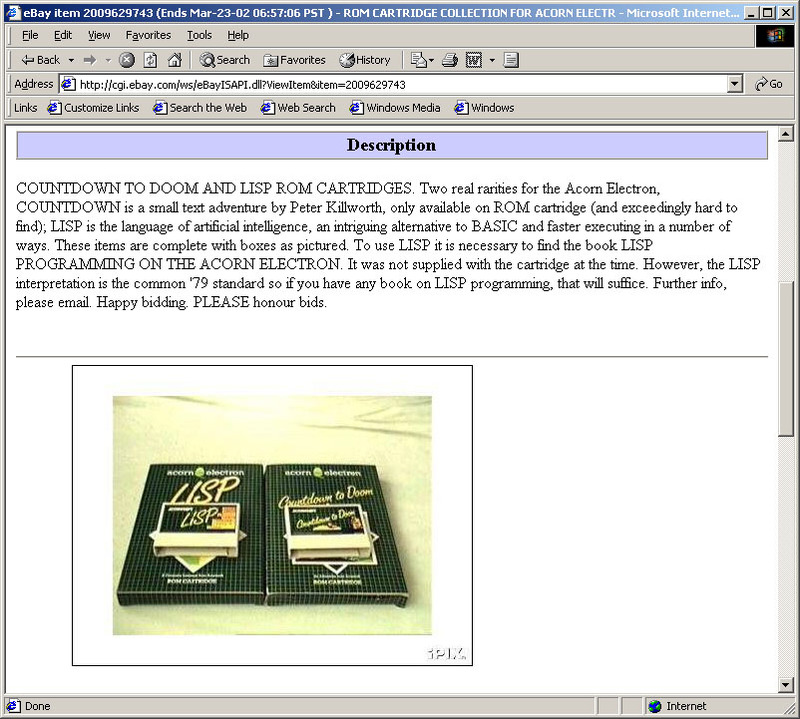 To use LISP it is necessary to find the book LISP PROGRAMMING ON THE ACORN ELECTRON. It was not supplied with the cartridge at the time. However, the LISP interpretation is the common '79 standard so if you have any book on LISP programming, that will suffice. I did some searching but couldn't find lisp-on-a-cartridge for anything other than the Acorn.